What can I say about this polish? I think you can already see the perfection from the pictures. 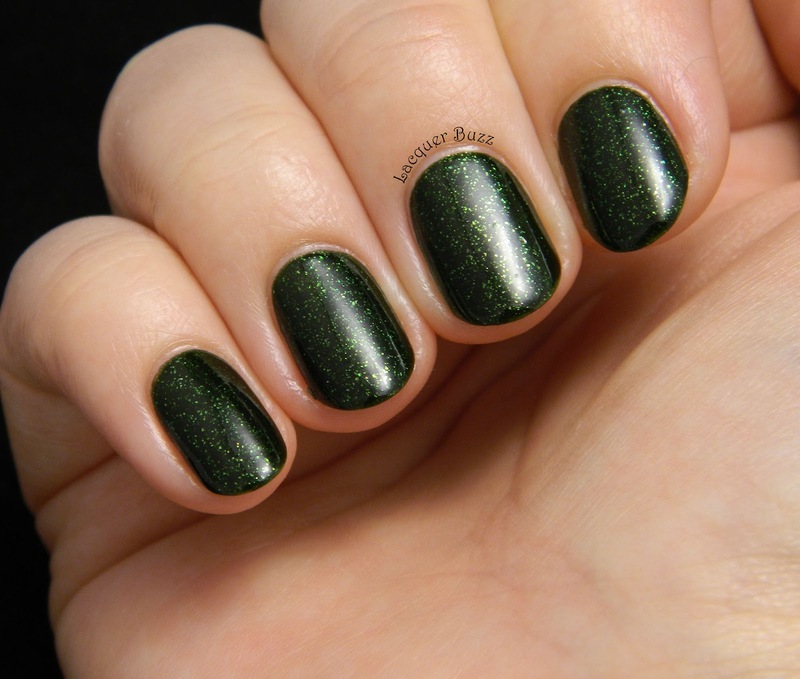 Rain Forest is a dark forest green jelly that is full of beautiful light green shimmer. 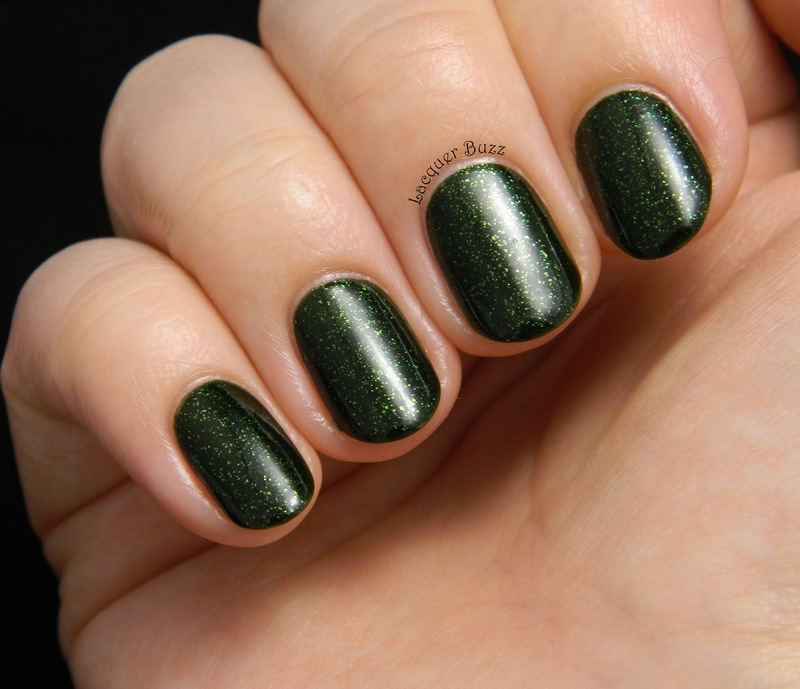 As you can see from the pictures, this shimmer is totally visible on the nail. It's so glowy and pretty that I just can't handle it. 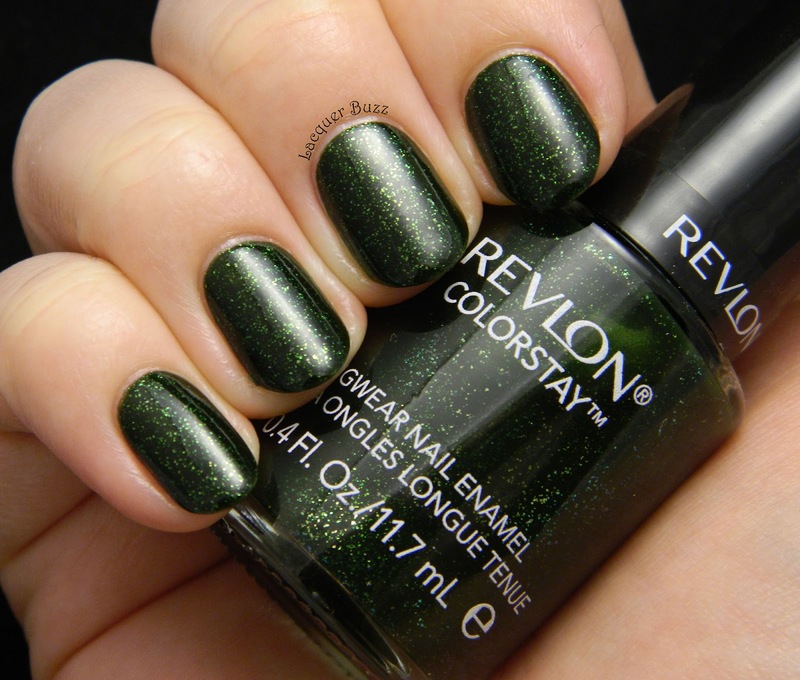 This polish is a little sheer to make the shimmer clearly visible, so you might need 3 coats if you have longer nails. I have to admit that I can't quite remember how many I did (I have grown out of the habit of taking notes) but I'm almost sure I did 3. Either way, it's a pleasure to apply and it dries pretty fast. I did add some Seche Vite to help with the drying time and the shine. I also can't comment on lasting power because lately every polish shows tip wear on me after one day, regardless of the brand. 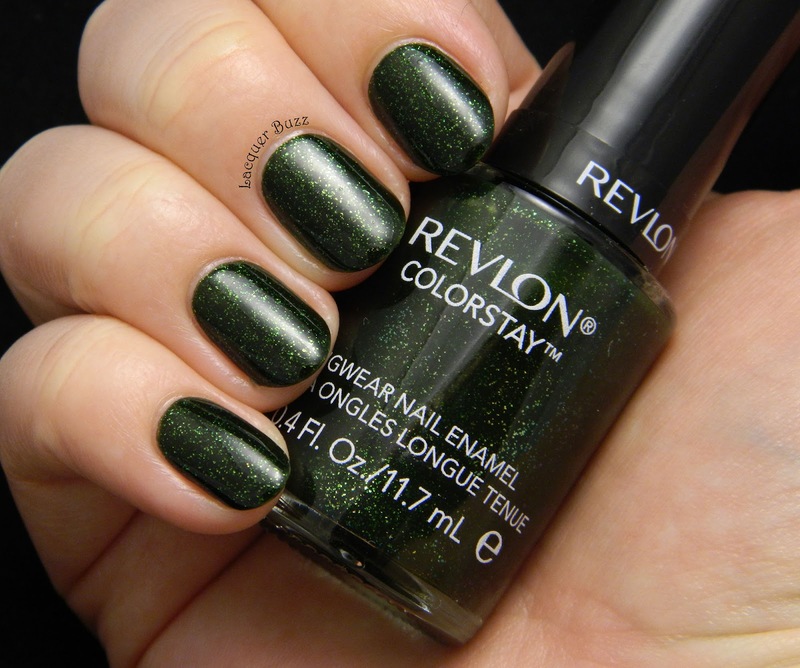 If you are a fan of green and of vampy polishes this is a must have! I really love this polish and I have to thank Julie for sending it to me. I can see myself wearing it a lot in the cold season, but also in the summer when I need a little dose of vampiness in my life. I love the glowy green glitter! Wow! This is a stunning green! Wow!!! Absolut superb arata verdele asta! Vezi? Asa ceva imi imaginam cand mi-am comandat Tess D'urbervilles. Minunata oja!